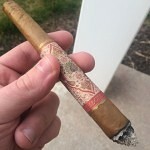 Ron from Mbombay Tabak graciously sent over another cigar for me to review, the Mbombay KeSARA Pyramid Shaggy. 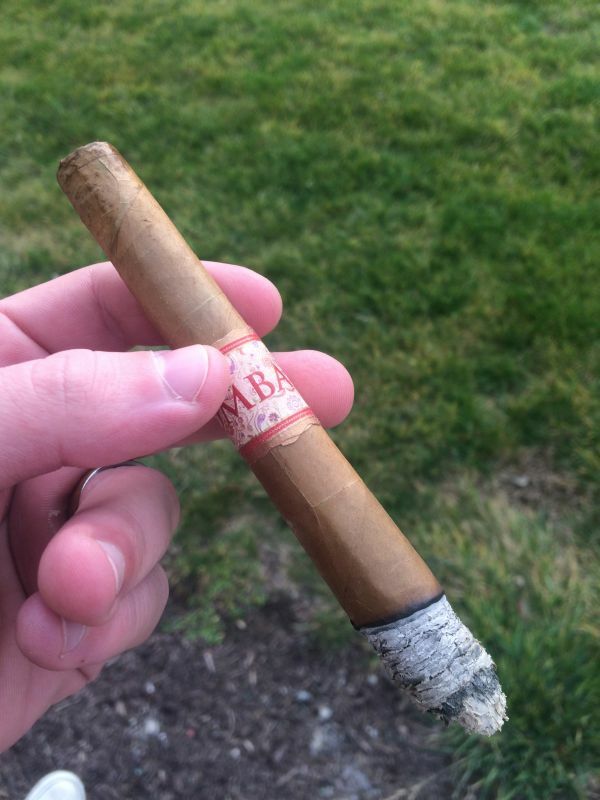 I enjoyed the first iteration of the KeSARA that I had, the Mbombay KeSARA Toro and I am intrigued as to how this unique vitola will play into the enjoyment and flavors of the blend. 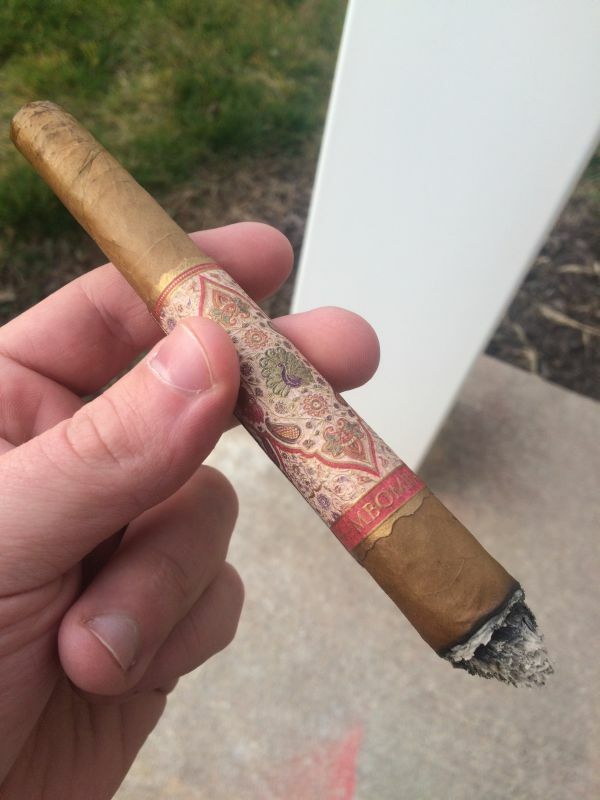 Mbombay Tabak tends to feature a bit higher price point than many boutique blends, but delivers with amazing construction, unique blends, and experimental vitolas. Once again, I did receive this cigar for free in exchange for a review. As best I can, I will offer my honest opinions and not let the awesomeness of free tobacco cloud my judgement. 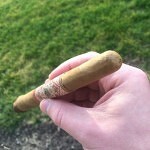 In the shaggy foot toro vitola of the KeSARA, I picked up some white pepper, cream, cinnamon, nut, dried fruit, and cedar, capped off with earthiness and grass. 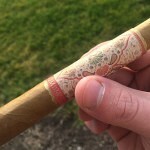 I expect somewhat the same here, though with the variation in ring gauge throughout the smoke, I could see more drastic transitions in flavor, or even more pronounced flavors. Appearance: Smooth, well constructed. Looks like a make-up brush! Aroma: Sweet. Very, very sweet. Easy cut. Mild citrus on the cold draw. Not much resistance. Toast and a puff and we’re off! White pepper initially moving into an aromatic sweetness, almost potpourri-esque. Razor sharp burn on the shaggy foot. 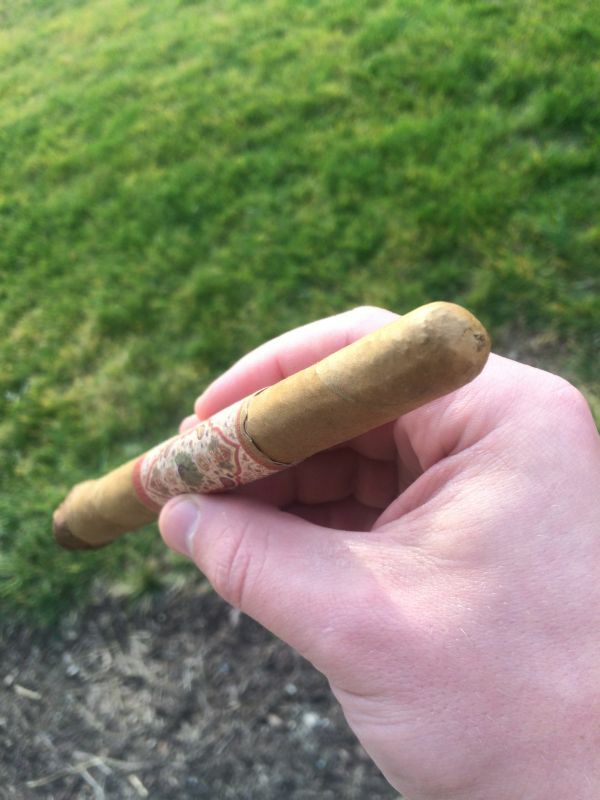 I still can’t get over this vitola–it looks like one of those very specific make-up brushes, probably to powder some excessively specific part of the face that only make-up artists know about. Y’know? It looks fancy? Mild spice as the burn hit the end of the shaggy foot. 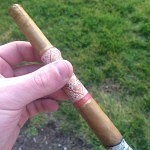 The Mbombay KeSARA Pyramid Shaggy does not disappoint in the construction department, that’s for sure. Incredibly consistent burn and a smooth draw. No cracks, no imperfections. 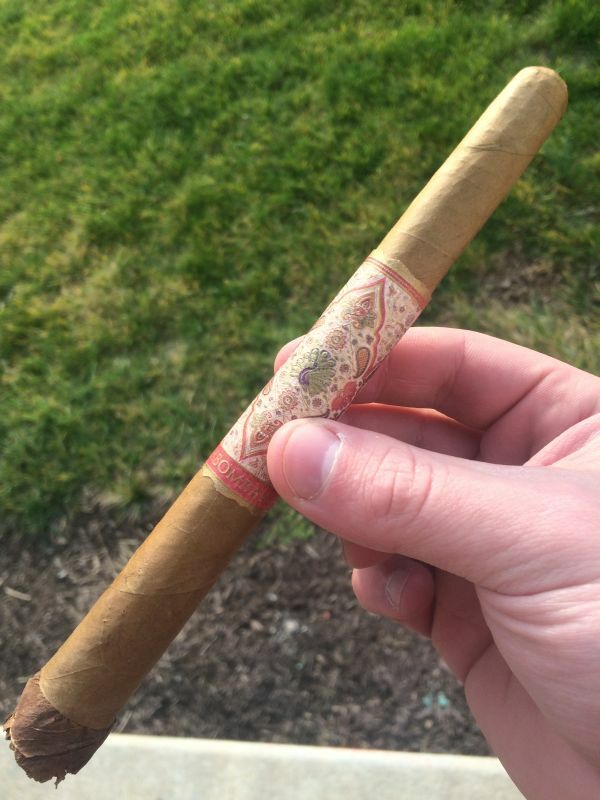 Smoking nicely, almost to the point that I have to remind myself that I’m smoking. At this point, there’s heavy cream, nut, and spice notes. Cinnamon chiefly, with some other notes that I’m having trouble placing, though they’re somewhat citrus-y. They’re a bit mild, but not to the point of being annoying. In fact, the smoke is what I would call rich, and the smoke is light, milky, and easy to swirl around in my mouth. 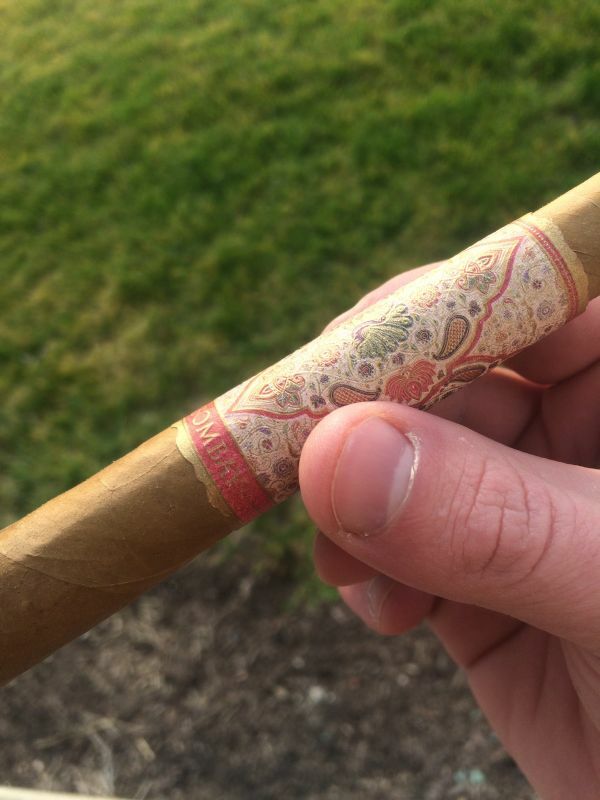 I’m struggling to find the best way to describe the Mbombay KeSARA Pyramid Shaggy, but it’s almost like cinnamon sugar lightly scented with lemon? Not sure what maniac chef would try that out, but it works nicely for smoking. Though a cinnamon encrusted lemon salmon? Probably not. Continuing the profile of the second third into the final third. The burn remains steady and there’s no hint of the pepper that I tasted at the start. Not much else to note in this third, and while I kept my tongue looking for the dried fruit notes from the KeSARA toro, they were not to be found. Alas! Burn is a bit too hot at this point (which is something that seems to be common for Connecticut wrappers), so rather than persist, I am nubbing it. 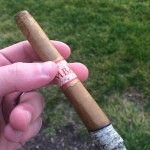 The vitola is a sight to behold, and the smoking experience was all-around enjoyable. 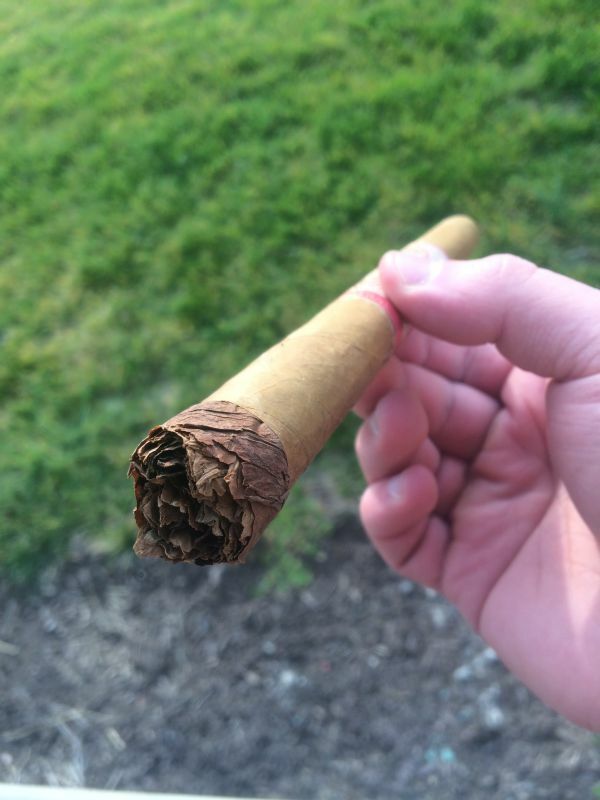 Nothing bad to say about this cigar. 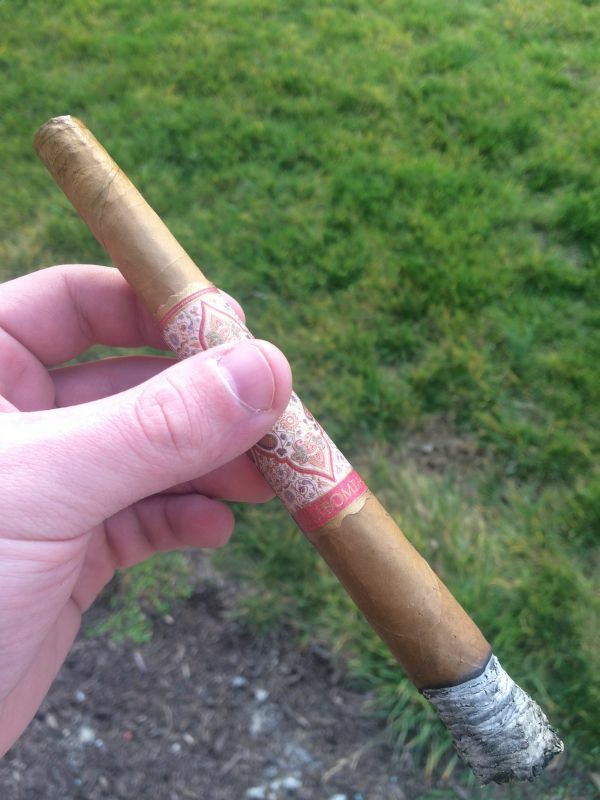 Because of the novelty of the vitola, I don’t see the Mbombay KeSARA Pyramid Shaggy as a daily smoker, but as a special occasion smoke. 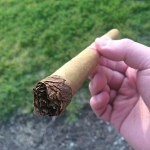 I’ll never turn one down, but I won’t be smoking this cigar every day.